Even though Eric Sprott bets most of Sprott Asset Management‘s capital on precious metals such as gold and silver, he still invests a portion in equities. 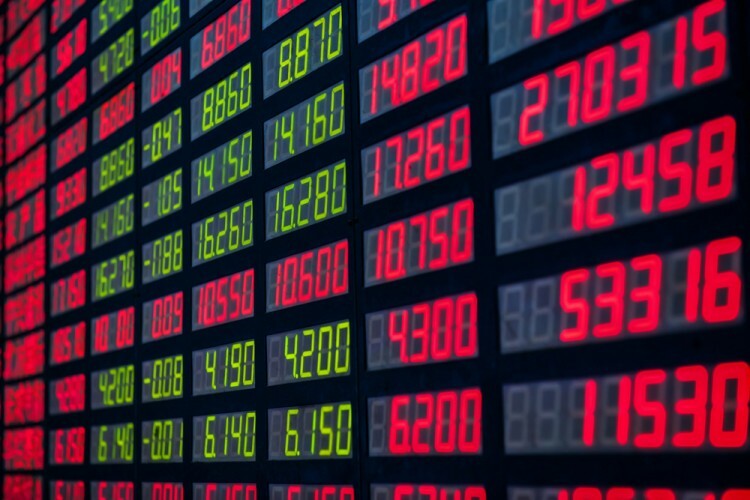 Sprott’s latest 13F filing showed an equity portfolio worth $1.63 billion, but over half of it is in ‘Call’ and ‘Put’ options underlying shares of the S&P 500 ETF (SPY). Technology and Materials also amass significant portions of the 13F and among Sprott’s top picks are Apple Inc. (NASDAQ:AAPL), Intercontinental Exchange Inc (NYSE:ICE), UnitedHealth Group Inc (NYSE:UNH), Discover Financial Services (NYSE:DFS), and Pfizer Inc. (NYSE:PFE), which we’ll look at in this article. We follow Sprott Asset Management alongside other more than 730 funds, whose 13F filings we dissect to identify the collective sentiment towards different stocks. By doing so, we can identify profitable trading opportunities, although our focus are the small-cap stocks that these funds are collectively bullish on. Our strategy involves imitating the 15 most popular small-caps among the funds we track and it has returned 102% since August 2012, beating the market by over 53 percentage points (see more details here). Let’s take a closer look at Sprott’s top picks, starting with Apple Inc. (NASDAQ:AAPL), which represents one of the investor’s long-term bets and in which the fund has been increasing its stake over the last several quarters. Between July and September, Sprott added 9,490 shares to its holding, taking it to 324,245 shares worth $35.76 million. It’s not surprising that Sprott is betting on Apple Inc., since its stock has been consistently growing over the past few years as the company has been reporting strong financial results and increasing iPhone sales. Even though there are some concerns over the company’s dependency on a single product, most investors have been overlooking this issue. Apple also has a strong balance sheet and a large cash position that allows it to retire stock and further grow its earnings. At 12.1-times earnings and a 0.9 PEG ratio, the stock is relatively cheap. Billionaire Ken Fisher‘s Fisher Asset Management is another shareholder of Apple Inc. (NASDAQ:AAPL), owning 11.12 million shares as of the end of September. In Intercontinental Exchange Inc (NYSE:ICE), Sprott reported ownership of 143,120 shares worth $33.63 million. Over the last year the investor has not altered the position significantly, though its value has grown from $27.35 million reported as of the end of September 2014. Intercontinental Exchange is a stock exchange operator, which owns the New York Stock Exchange and its shares have gained over 18% since the beginning of the year. The company’s latest financial results revealed a strong performance, with Intercontinental Exchange Inc (NYSE:ICE) reporting earnings of $2.76 per share, up from $1.80 per share a year earlier and revenue of $1.15 billion, up by 14% on the year. Among the funds we track, the company is fairly popular, with 43 investors reporting stakes equal to 9.70% of the firm’s outstanding stock. Three more of Sprott’s top picks are put under the spotlight on the next page. Billionaire Ken Fisher’s Top Healthcare Stock Picks Why Are Shares of These Companies Surging Today? Why These Four Stocks Plunged on Tuesday The Shoddy Results That Have These Four Stocks Plunging Today Here’s Why Investors Are Bailing On These Four Stocks Today What’s the Deal With These 4 Slumping Stocks?